Hollybeary Creations : NNDT... News!! Happy Friday everyone.. Yay, exciting news today! I will be joining the Newton's Nook Design Team in January and I'm so thrilled to be a part of this team. This is a talented group of ladies and a huge Thank you to Jennifer and Jeff for asking me to be a part their team. 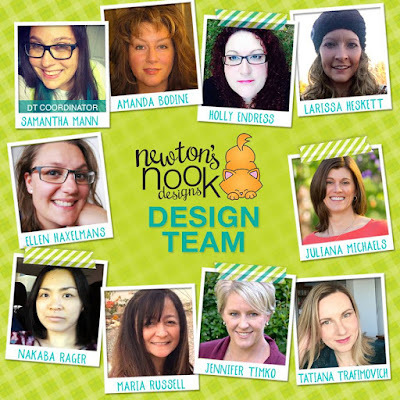 Head over to the Newton's Nook Blog to meet each Design Team member and there's a link to the store so you can check out all the fun and creative products and meet Newton! !